So...the whole idea of not starting new projects, but finishing old, of two days ago - failed already. 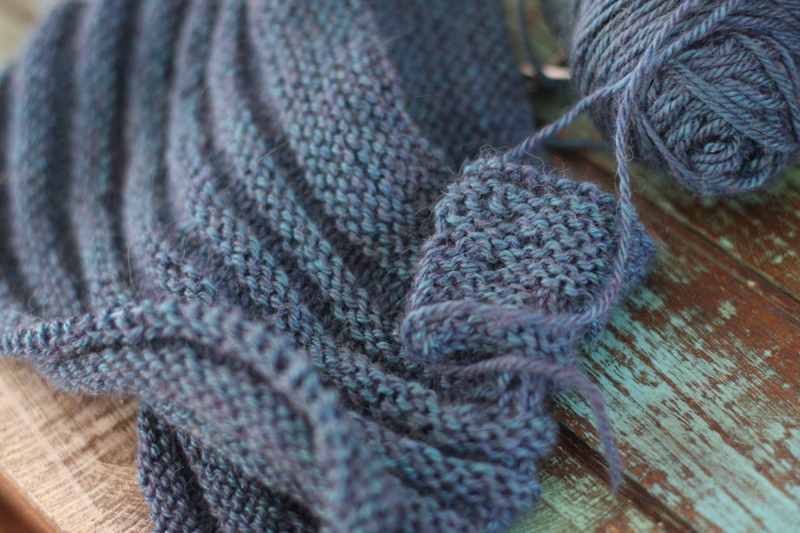 This cute little Squishy Love cowl was an irresistable quick project. I gave up to temptation and cast on yesterday. 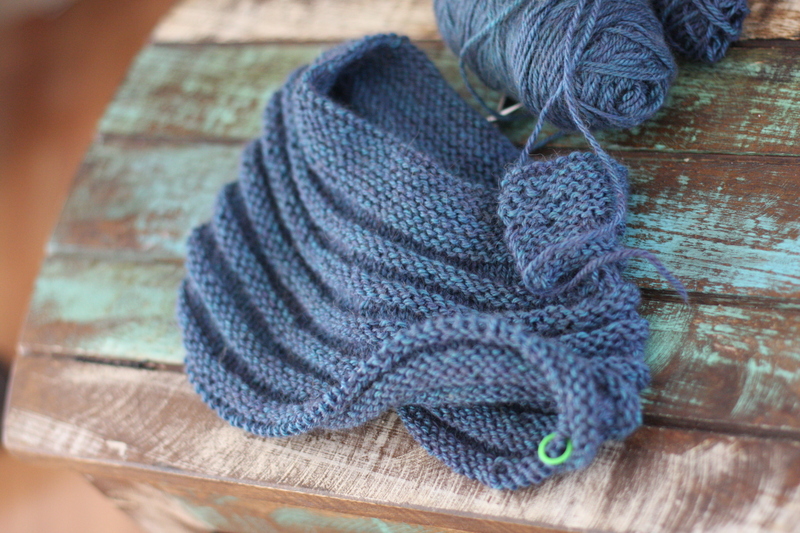 My friend Marcy knit this for a little cutie, and once I saw it I knew I had the perfect stash yarn for the project! I have 3 skeins of The Fibre company Road to China Light (in Lapis color way), the yarn is pure luxury, plush and soft. I am knitting it a bit larger so I can wear it myself. 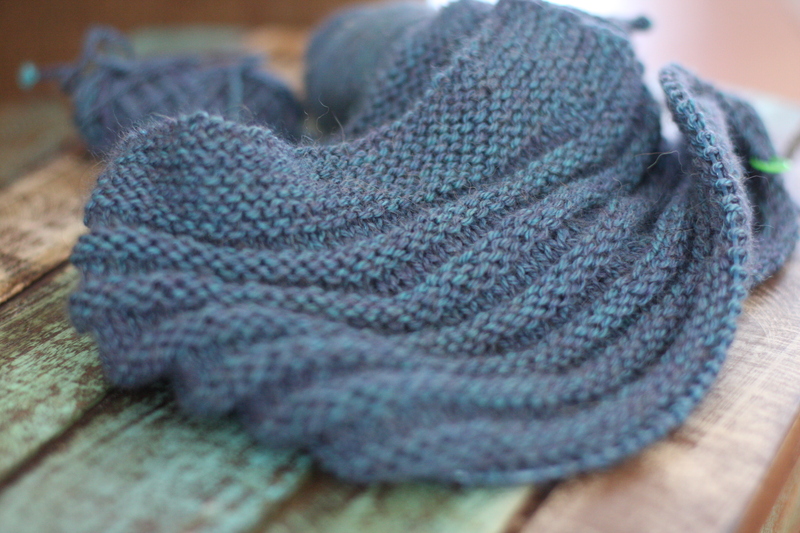 I'll be done with this cowl soon, and then I get back to the previously announced goal. Until then, I am enjoying this so much! Have a great weekend. :) I’m glad she is okay with copy-cats ;) Sure is easy! Kenzie’s excited that you will both have the same cowl! ;) Is this fairly easy for a beginning knitter? Very Much Inspired by this design and fail.